Built with luxurious materials and an avant-garde vision, the adidas® X Rick Owens Level Runner Low shoe is a classic in the making! Collaboration with avant-garde designer Rick Owens. Built on the iconic RO Runner sneaker in a sleek, modern silhouette. Leather quarter and heel paneling. Suede lining for soft comfort. Futuristic comfort outsole provides durable, long-lasting wear. 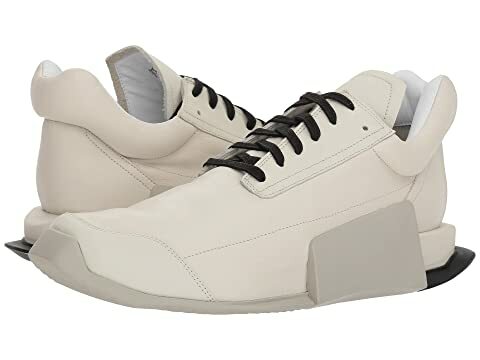 We can't currently find any similar items for the X Rick Owens Level Runner Low by adidas. Sorry!